The Myrtle Beach areas offers nearly 100 golf courses, with more than 1700 golf holes spread throughout the different courses. According to a local article, the South Carolina Golf Course Ratings Panel and Myrtle Beach Golf Trips recently teamed together in an effort to recognize the 18 best golf holes in the Grand Strand area. Since 2004, the panel and its members have traveled across the state playing and rating the most competitive and aesthetic courses. This effort gave them an opportunity to provide in-depth analyses of individual golf holes. The panel is composed of a diverse group of golf enthusiasts that have a variety of golf and vocational backgrounds. They are extremely familiar with the courses that encompass the Grand Strand region, so their golf advice is sound and dependable. The article validated the reputation and expertise of the panelists in their judgment of the golf courses and holes, claiming, each member of the panel had to play the course before he could vote on it to ensure that the recommendations made by the members were reliable and fair. 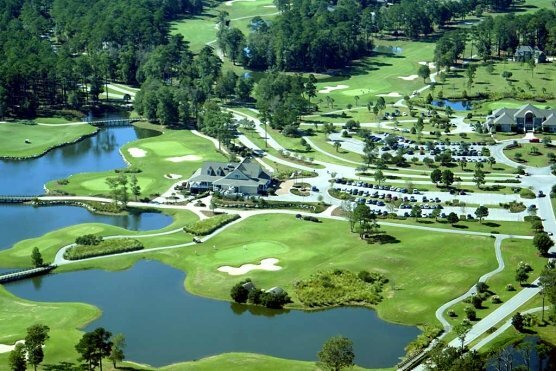 There are many unique golf layouts that encompass the Myrtle Beach area and the expert panelists helped in sifting through the numerous golf courses and complex hole designs by rating the courses against a strict and intense list of attributes. Anyone planning to book a golf trip to the Myrtle Beach area can rely on the panelists’ recommendations. Undoubtedly, they will be pleased with their golf experience. Myrtle Beach’s Ultimate Round has four par 3 holes that comprise some of the most challenging and intricate design patterns. They include Caledonia Golf & Fish Club #11, Dunes Golf & Beach Club #12, Grande Dunes Resort Club #14, and Tidewater Golf Club #12. These four have picturesque views that are aesthetically pleasing but also have the potential to be distracting because of their charming beauty. To successfully conquer Caledonia #11, the shot must be clean and accurate. It is located in a heavily wooded area and has a creek that surveys the entire left side of the hole and then crosses directly in front of the green. Dunes #12 requires a directionally precise shot because it is bordered by a lake on the left side of the hole. The tee shot also has to have enough distance to carry across a marsh to make it to the green. Tidewater #12 is a unique hole because of the impressive views of the Cherry Grove Inlet and Atlantic Ocean. It demands a strong, solid shot because of the winds that carry the ball when the shot is hit across the salt marsh and then approaches the well-protected green. Grande Dunes #14 is a spectacular hole. According to the local article, the panel members raved about this hole in particular—calling it a “beautiful challenge.” It overlooks the Intracoastal Waterway and the green looks as if it is suspended in the air over the water. This hole is ideal for a long iron shot. Four par 5s are part of Myrtle Beach’s Ultimate Round. Collectively, these specific holes offer opportunities to land birdie shots for golfers who prove to be strategic long hitters. Alternatively, average handicap golfers have to be very strategic in their decision-making when playing these holes. Dunes #13, commonly referred to as, “Waterloo,” is a legendary hole that requires a strong and relatively powerful second shot that must carry over a portion of the immense Lake Singleton. Success on shot two sets up for a third shot on a raised, multi-tiered green. Caledonia #10 warrants an intense start to the back nine of this classic course. The hole expands out to a distant green that sits far below the fairway—making it challenging. Prestwick’s #9 is similar to Caledonia’s #10 in difficulty because it requires a controlled tee shot as it curls around a lake before reaching the green. Those who walk away from this hole with par should certainly feel accomplished. TPC Myrtle Beach #18 is a closing hole that the panelists view as a risky yet fair hole—that true championship courses should end with. TPC Championship hosted the Senior PGA Tour Championship and it is also home to the Dustin Johnson Golf School, so the course is a classic and is very well-known. #18 certainly makes an impression. The lake, which guards the left side of the fairway, makes it probable that approach shots will be swallowed up if they are not thought through carefully. It is demanding but memorable. Courses represented in Myrtle Beach’s Ultimate Round for their classic par 3s and 5s were also recognized for some of their par 4s. Caledonia #18 is an entertaining and overall fun closing hole and it is one of the best along the Grand Strand. Overlooking the green, the closing hole has a built-in cheering (or booing) section that is elevated on the clubhouse porch. Dunes #10 starts the back nine with a fairly nonthreatening atmosphere, and then Dunes #11’s catches golfer’s attention with its slopping fairway which ends with a fish hooked-style green that reminds the golfers not to let their guard down. Tidewater #4 has a challenging layout. 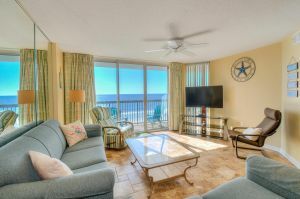 With panoramic views of the Inlet and its position as the number one handicap, it earned its place in Myrtle Beach’s Ultimate Round. TPC Myrtle Beach #3 is well-known for its complex layout, which begins with an intimidating drive over wetlands and then ends on a raised green. Heritage Club #14 is a huge par 4 that has a two-level fairway—split by a long body of water. Dye Club #9 is located at Barefoot Resort & Golf. It has natural white sands of the Carolina Bays and native grasses that the golfer must navigate while also trying to avoid the infamous pitfall that shallow up wayward shots. While other courses save their most challenging par 4 for the end of the round, Willbrook Plantation #1 is a demanding starting hole. It made Myrtle Beach’s Ultimate Round because it forces golfers to begin by teeing off through a narrow chute and across a marshy area—requiring immediate attention. A beautiful stretch of scenic holes with relaxing water and island views can be found at Pawleys Plantation. Pawleys Plantation #18 has a complex layout that sets up a challenging tee shot and has a difficult approach—making it a tough finishing hole. Golfers travel a narrow fairway, which then leads them to the green which is surrounded by large, hanging trees. Prestwick #18 has a wide fairway, which provides room for error off the tee, but the second shot is critical and must be hit precisely to the green because it is titled towards a lake and also guarded by it. Similarly, True Blue #18 requires a precise shot because of its severely sloped green and the dominant feature of water. With close to 100 different golf courses represented along the Grand Strand, there are many holes that could potentially comprise any one golfer’s “ultimate round.” The list that represents Myrtle Beach’s Ultimate Round of 18 Golf Holes hopefully provides some ideas of golf courses and holes that are pleasantly challenging and aesthetically pleasing to those who love the game and want to experience the best golf Myrtle Beach has to offer.